It’s amazing how sunshine can lift my mood and affect my plans. Best intentions went out the window today! I thought I would walk to Koniz (about 3 hours) to check out a second-hand bicycle store, because I’d like to buy a bike. 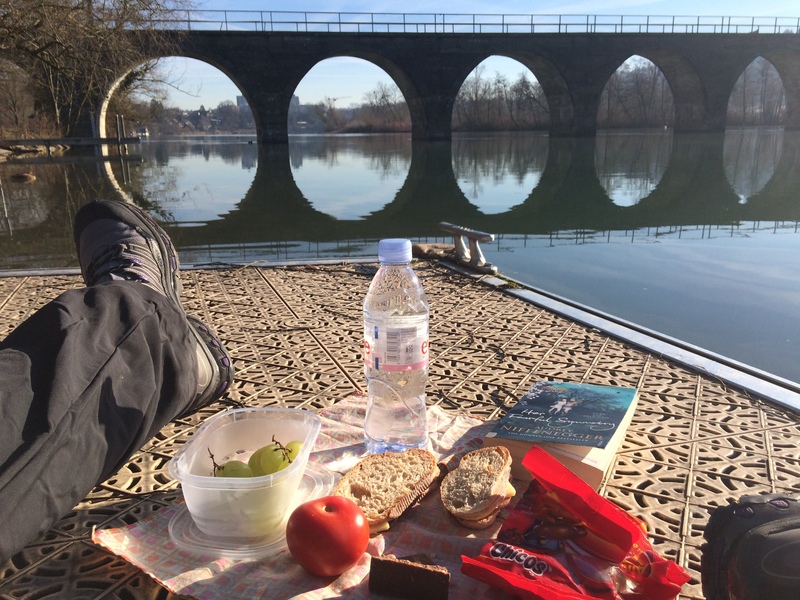 After seeing how much of the walk would be in shade (where’s it about -2 degrees), I decided to make the most of the sunshine and stop after 30 minutes at the Wohlensee for a lunch break on the pontoon. With my gloves under my bum for added warmth (TRUST me, not enough coverage), I munched on my cheese, tomato and salami sandwiches, some grapes and a triangle of Toblerone (hey, I’m in Switzerland – it’s not a lunch without cheese and/or chocolate!) and a handful of my last Chicos (an Australian lolly) while listening to the ducks and reading my book. But I digress. 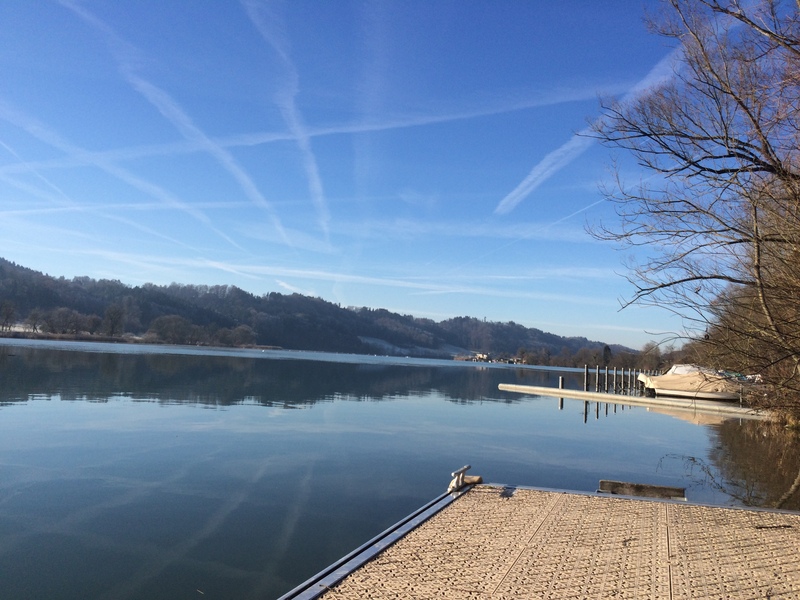 After 30 minutes on the pontoon, I realised sitting on top of water for much longer probably wasn’t a great idea, even if it wasn’t frozen, so I resumed walking … on the sunny side of the lake for home. I couldn’t waste that sunshine and freeze in the shade! The bike will have to wait for another day. The homeward track went through a small village, up a hill into the forest, and took an hour. I know that path well, and was pleased the firing range was quiet (the random shots put me on edge – not for fear of being hit, just for the noise!). It was good to come home and play around on the blog … and drink a warm tea and put my feet on the heater. Because our house is in such a quiet and beautiful setting, I forget the lake is just a short walk away and tend to stay home when I want to relax. With my new mantra of fitfor15in15, I’m looking forward to making more visits there to read and watch the birdlife. It’s worth the effort. Do you have a place you often forget is wonderful? Echo Point was always my favourite for a while considering it was my front yard. I loved to take my coffee or tea down to the 3 Sisters and stare out over the valley, especially when it was spring so it was still cool but with a few rays of sunshine. That is a great spot Craig. Your backyard was pretty awesome too – it was like you’d find teddy bears having a picnic back there! I can only imagine how cool it was to be able to take your tea to the point and chill out.